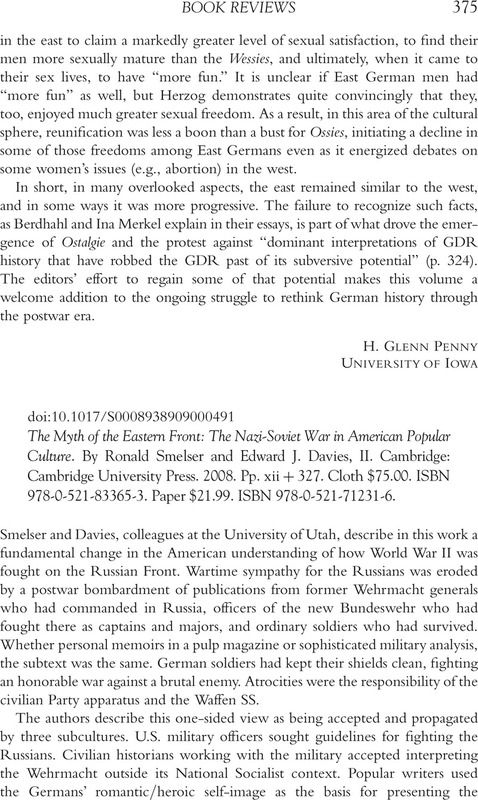 The Myth of the Eastern Front: The Nazi-Soviet War in American Popular Culture. By Ronald Smelser and Edward J. DaviesII. Cambridge: Cambridge University Press. 2008. Pp. xii+327. Cloth $75.00. ISBN 978-0-521-83365-3. Paper $21.99. ISBN 978-0-521-71231-6.